For the 9th holiday season in a row, Cardiotabs has donated to The Wallace R. Bostwick Memorial Fund in their effort to support our troops during the holiday season. 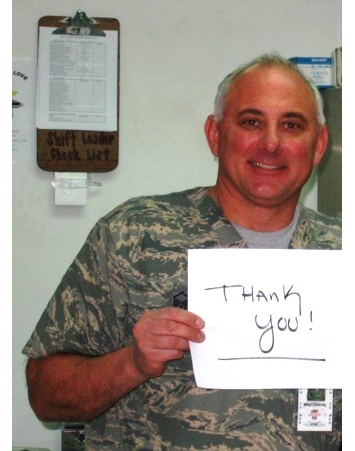 The Fund’s sole mission is providing gifts to our troops during the holidays. This year they succeeded in their goal of sending 1,000 gift packages to our troops. In total, over 4500 gift packages have been delivered. Each gift box is full of holiday favorites and essentials such as instant coffee, socks, phone cards, toothbrushes and toothpaste, blankets and vitamins. Inscribed on each package are decorations and sentiments from students in the Kansas City area, which is a really great way to get the local community behind the cause. We at CardioTabs feel it's a part of our company responsibility to give back to others. We could not be more thrilled to again be a part of this ongoing effort by supplying multivitamins and omega-3 softgels to help keep our troops healthy. Without the generosity and volunteer efforts of the community, this endeavor would not be possible. Your donation can make a huge difference for all those who serve and are not able to be with family and loved ones during the holiday season. Learn more about the Wallace R. Bostwick Memorial Fund.